2017 was a big year for the unit, with its barrage of changes and events shaping the course of the past 12 months and the future for us as a whole; so as 2017 transitions into another page in the history books and comes to a close, it’s time to look back on the year and all that it brought. We started off the year pretty quietly as we eased back in from the winter break, but by March we had our first big event with the announcement of the 29th’s ‘First Annual Dona-cruitment Drive Extravaganza’, running from March 19th till April 30th. For every recruit that graduated BCT and made it into the 29th, Battalion Senior NCO MSgt. Conrad pledged to donate $1 to help the 29th continue running, in addition to promising a free Steam game to each of the three highest recruiters in each Company at the end of the drive. A raffle was also launched including all those in the unit who provided a recurring donation of any amount, giving prizes like Steam games and gaming gear to whoever was lucky enough to win. Also in March, we saw the announcement of MSgt. 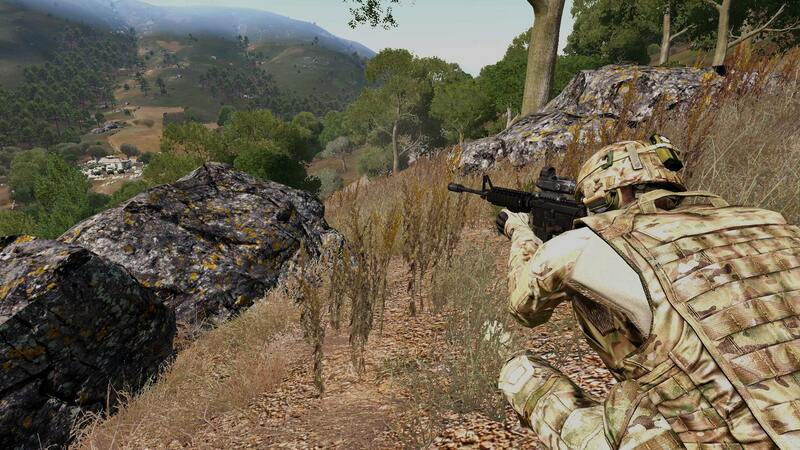 Conrad’s 'ZeuSaturday' campaign for Arma 3, beginning with Operation Typhon. This was a bi-weekly PvE event featuring an on-going story, ran by MSgt. Conrad and PFC Vogel as gamemasters. Other people within the unit were also given the chance to run their own campaigns on every other week. Initially open to all in the unit, the unique series of campaigns were soon opened up to the public too. "ZeuSaturday started as a dream and a bundle of twigs that PFC Vogel and I had before he had even joined the unit. I made him join so we could run it together and I can't imagine it going much better than it did. We both put in a few hours every two weeks to make sure the mission was organized and ready with a full WARNO for any who would want to participate. We had early issues finding the balance of how many enemies we needed to take on the 29th, but we quickly learned. Overall the reception was warm, with a number of extremely dedicated members who made sure to attend every mission, hell or high water. To those of you that this applies to, you know who you are; we couldn't have done it without you. It was wonderful to be able to spend time with members of the unit in a mostly social capacity, which I so rarely get to do anymore, and just have fun and meet people. With Operations working in the same ZeuSaturday time slot alongside Typhon, I expect we will have our plates full with ARMA community events in 2018." The start of April saw mass confusion among the unit as ‘junior platoons’ were announced, declaring that all members under the age of 18 would be separated from their elder unit-mates into a set of different platoons; this confusion subsided when it was realized that it was April Fools' Day. Later on in April brought us the first official deployment of the year against another unit for Baker Company’s First Platoon. 2Lt. Dashwood led the side here against the 1st SS in a strong victory during the defending round, but unfortunately they were not as fortunate in the attacking round. Two Bronze Stars, two Soldier’s Medals, and a Purple Heart were awarded for efforts during this deployment. "Upon closing into the town during the deployment we were engaged by enemy MG fire; we were in open terrain with only a few hedges providing some cover. Me and PFC Halme decided to be patient and wait it out, hiding amongst the fallen and the bushes. We stormed a small housing complex just north of the main town before flanking it from the west and clearing the church tower and killing an enemy MG. We started clearing more enemy buildings on the north side: this forced the enemy to withdraw, opening the heavily pinned BP1 to move in to secure the town. After seizing the town, we had to defend it with the remainder of enemy forces holding a villa just west of the town, which we did successfully. Unfortunately we were not awarded the victory for the attacking round as not all defenders had been killed. I thought that there was great teamwork between the squads to orchestrate the original taking of the town but we were just unfortunate. It was a heart-thumping experience to listen quietly for enemy movement and to turn corners, but me and PFC Halme acted like a two-man army back there." April actually brought us two official deployments, the second of which involved our own AP3 under WO1 Littlefield clashing against the 352nd Volksgrenadier Division. Two Bronze Stars, two Soldier’s Medals, and two Army Commendation Medals were distributed following their victory in both rounds of the deployment. On May 11th, the 29th launched a public ‘exploration’ server into Squad. This was to let the unit ‘test the waters’ in the game and see if there was enough interest from the player-base for an expansion into it. This largely contributed to the decision for the expansion later on in the year. Also in May we had the first of Sgt. Barclay’s two OCS scrimmages, the final steps to being commissioned an officer in the 29th. His second one came in mid-June, whereupon he was commissioned a Second Lieutenant at the end of a close battle. "I would say I was a little anxious before the first OCS scrim. I had attended a couple of them previously and was aware of the importance. I also knew that for this one I would be the focal point of everyone's attention. At the time I was a squad leader and not a platoon sergeant, so I was not sure what platoon I would be leading. I found out when I was given the information for the scrim I would be leading AP3 at the EST company drill. At that time AP3 had just come off of the deployment and I had attended most of their platoon drills leading up to it so I had an idea of each squads' skills and who were some of their more dangerous players; that helped relieve some of the anxiety. After getting the first one under my belt, I felt a lot more confident. 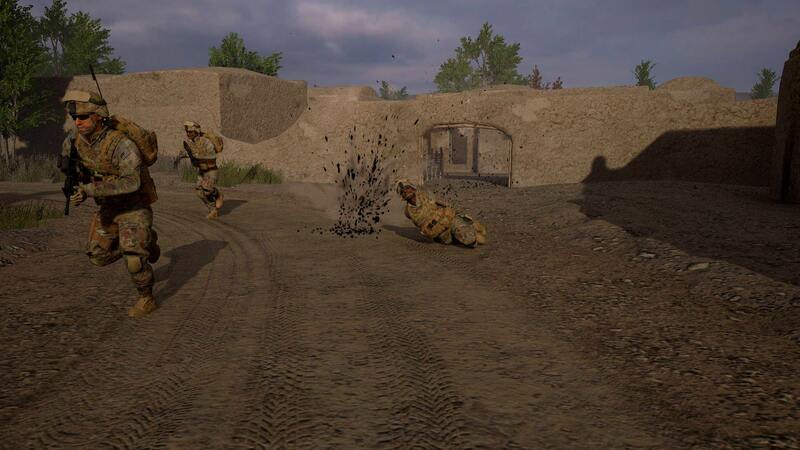 During my second OCS scrim I was assigned to lead AP4, the platoon that I took over later that day. This one was during the GMT company drill and the numbers were just a little unbalanced so they brought over my squad from AP1 to fight with me. It really felt good fighting with my squad. When I compare a normal drill to an OCS, I take it back to when I was a Private and I was the last guy alive during a company drill. I knew my whole team was watching me, my heart was pounding, my palms were sweating, and my mouth was dry. Just knowing that if I made a mistake the round was lost, wanting to prove myself to my squad and platoon leadership. The OCS scrim was a lot like that but from the beginning. Moving up from squad leadership to platoon leadership is about the same just magnified three times. Drills are larger and paperwork is tripled. When leading the platoon, I do my best to make each and every drill fun while attempting to work on or teach a needed skill. After all the whole reason we are all here is to have fun with our fellow 29th members." Following the Squad exploration server, on June 12th came the Rising Storm 2: Vietnam public server to see if there was any interest in a unit expansion into the sequel to the popular mod to Red Orchestra: 2, a game our own Able Company was already based in. July brought us the OCS scrims of WO1 Brewer as he showed he had what it took to be an officer in the 29th. After two tough fights, he was commissioned a Second Lieutenant. Also in July was the start of Charlie Company’s Mechanized Battle of the Squads tournament, an event which saw rich participation from all squads in the company as they fought each other over a 4 week period. 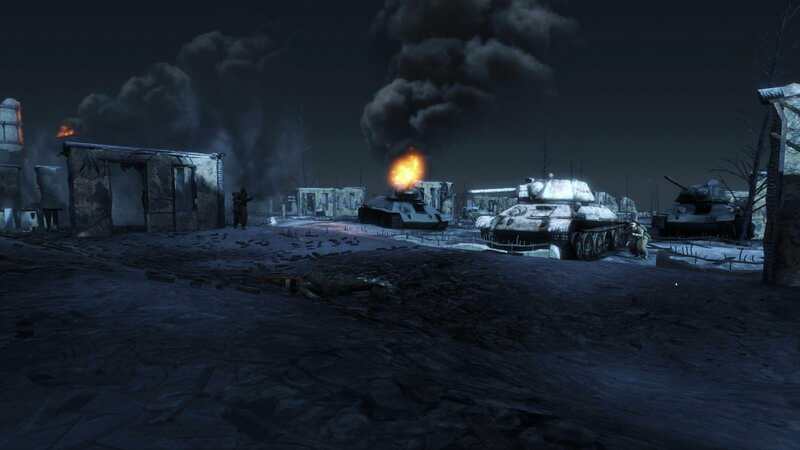 Each match’s objective was to win control of a certain sector of the map, and each squad was given a Russian BMD-2 airborne infantry fighting vehicle to help them do so. At the end of a fierce few weeks, CP2S3 emerged largely victorious with a powerful and undefeated run against the 5 other teams. Arguably the biggest change of the year came in September when it was announced that two new companies, ‘Dog’ and ‘Easy’, would be opened very soon after an overwhelming response to a unit-wide survey to allow the unit to expand into Squad and Rising Storm 2: Vietnam. This change largely affected Able and Baker Company who both saw a large portion of their enlisted personnel migrating to the new companies. The expansion would not happen until a month later on October 1st, where a smooth transition into the two new companies took place. It was not until a further few weeks later that the 29th finally opened its doors for new recruits to enlist into basic combat training for both companies. "This year, I think the unit had a breakthrough with how we did OCS. Unlike in previous years where maybe one or two people get through in the span of a year, we had five pass in three Companies! Being an integral part of that was really rewarding. And I think its rewarding for most of the unit. It means that your Platoon, Company, and Battalion HQ is watching Squad Leaders do their thing and figuring out which ones have what it takes to become a Platoon Leader. Over a year ago, Officers were a dying breed, but now with a centralized OCS structure in terms of getting our candidates through OCS and making sure all facets of the CoC are working hand in hand, this should never be the case again. With that said, all of that is mostly my gig and I hope that with the addition of new Platoon Leaders in the unit, a lot more people have a better experience in their Platoon cultures. One of the big hurdles with unit expansion is that a new company needs to bring together people who are from different companies, different platoons and different squads. The initial hiccup in that expansion is addressing that, making sure people don't feel that they're being ripped from their mates. In Dog, we were small enough with a wide variety of guys from different places that we were able to largely avoid this. For instance, DP2S1, made up of Baker and Able guys, has come together nicely over the past few months. 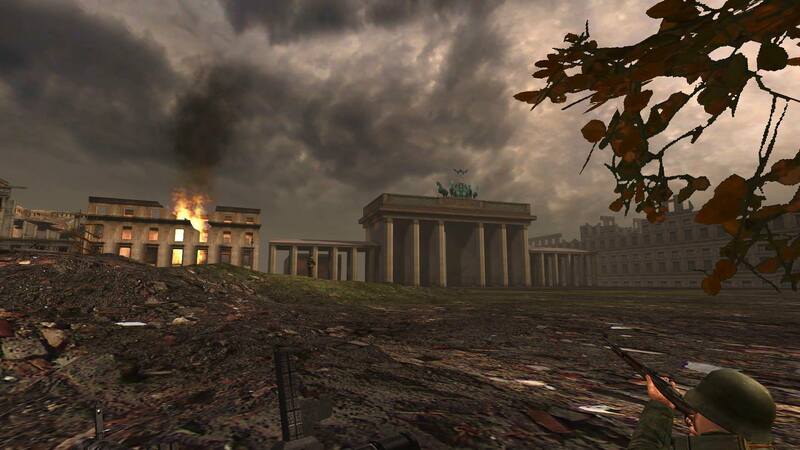 Hype-wise, we wouldn't be in Rising Storm 2 if people weren't hyped. 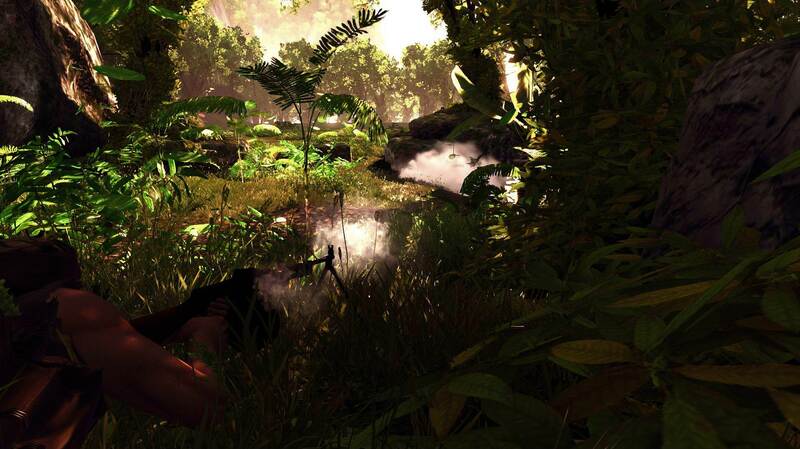 I mean, what other games other than maybe Arma 3 can you play where Napalm can be used in drill to tactical and satisfying effect. Another neat thing about this expansion is that a lot of the guys paving the way came from Able, which being from Able myself, I take a little bit of pride seeing that the guys trained under me and by my Platoon HQs are largely leading the way. Whether they are in Easy, Dog, or still in Able, they're all undertaking new experiences which requires them to really step up and contribute. Seeing how many people have done so shows their high level of commitment both to their mates, their companies, and to the 29th at large." Moving back to September, this month also saw the OCS scrims of CP2’s Platoon Leader, WO1 Kear. Both fights came to a very close conclusion but the Warrant Officer by the end had shown he more than possessed the skills to earn a commission to Second Lieutenant in a ceremony that also saw multiple enlisted personnel be awarded various medals for their efforts during the fights. "The OCS scrims were a tough, but necessary, display of one's ability to lead a platoon and maintain command and cohesion to accomplish your assigned goals and, ultimately, achieve victory. I was fortunate enough to have some stellar men at my disposal who were led by equally excellent squad leaders and assistant squad leaders, all of whom I had trained myself, so the scrims were just as much about demonstrating my aptitude as a platoon leader through battlefield leadership as it was about proving my worth as a platoon leader who could be relied upon to foster the next generation of leadership through the mentorship and training of those under me. The battles themselves were tense and rife with impressive displays of marksmanship from both 'sides' involved in the scrim and it even earned one CP2er, PFC Ahlinder, the honorific title 'the sloth' for his meticulous but devastating slow-and-steady solo CQC building clearing in a nail-biting 3v1 situation. Regarding the entire OCS process as a whole it was enjoyable, educational, and challenging but I'll say no more than quote the good Lt. Col. Wilson (Ret. )'s wisdom for any aspirant officers in the 29th: "Telling someone to take initiative defeats the purpose of initiative. [...] Think you have what it takes to be an officer? Use your brain to figure out how to demonstrate it! We're always watching." As for my personal advice to any future leaders in the 29th (wherever you may end up) the three key traits of reliability, integrity, and competency will take you far. 2017 was a good year for the 29th I'm eager to see what 2018 holds!" This would not be 2017’s last OCS scrim in Charlie Company with Sgt. Nelson, at the time a Platoon Sergeant for CP1, proving he deserved a commission a month after in October. He was simultaneously promoted to Platoon Leader of CP1 and commissioned a Second Lieutenant in a virtuous ceremony that followed a hard-fought brawl. 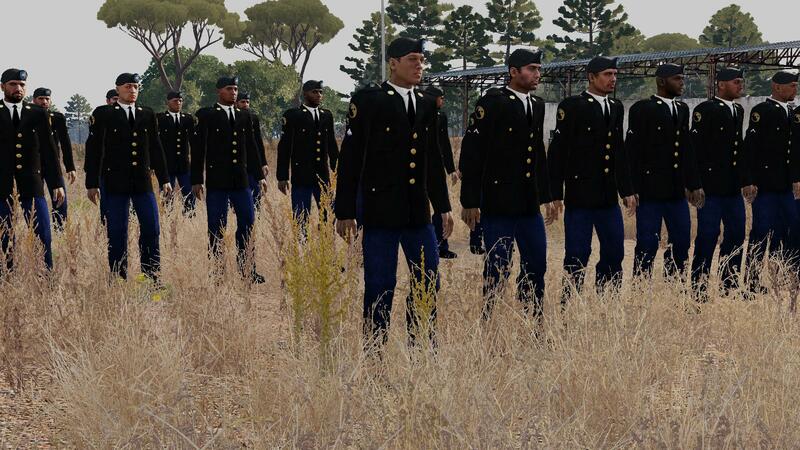 November brought the unit something unique as the first official deployment was announced for Charlie Company since migrating into Arma 3 against the 2nd MRB, with CP2 under 2Lt. Kear being selected to fight. Albeit the first round was lost due to a technicality, CP2 bounced back with a fierce victory in its defending round in a tough fight that lasted almost 2 hours. Two Silver Stars, two Bronze Stars, and a Soldier's Medal were later awarded for crucial combat efforts during the battle. "For the attacking round against the 2nd MRB, after having spent a few hours just staring at the terrain and the map, I started to realize a victory would be impossible without a single hard push supported by whatever we could spare. If we let the enemy whittle us down in a long skirmish, we’d no longer have the numbers necessary for that decisive push. As for the defending round, with the 2Lt. safely in cover in the main compound, I decided that I would be best used as a recon element, given the many angles we couldn’t cover. I moved to cover the eastern flanks, east of third squad’s position. There, I ran into a two-man flanking force. After having recovered my composure and putting on my big-boy pants, I killed one of them and legged it out of there, advising S3 of the possible flankers. I made my way into the town east of the objective, where I spent around 20 minutes simply keeping my eyes on the eastern flank. After hearing some gunshots and a few target call-outs, I moved further north in the town where I ran into what I later found out was their HQ team which I slowly took out by continually relocating after each kill. After coming off of my high, I made my way nearer to the objective as the enemy was likely to do a last desperate push. Those last 10 minutes waiting for ‘GAME’ to be called felt like an eternity." We finished the year with a final OCS scrim, this time for Sgt. Wolf. Once again after two tough battles, he was commissioned a Second Lieutenant on the 17th of December, ending a year of intense competitive events for the unit. As the year ends, we finish with a total membership of 303 people among our five companies and above. 24 people passed Squad Leadership Training this year and became non-commissioned officers, 5 people passed Officer Candidate School and were commissioned, and a total of almost 2,000 official 29th drills were conducted within the 12 month period. "My most notable moment this year was seeing the community stepping up as a whole and taking on extra responsibilities that I needed to delegate due to the birth of my first born child. The efforts put forward by so many people, especially leading up to a major expansion, ensured smooth operations of the unit and allowed me to focus on being with my family. In addition to this, the numerous PM's and messages on Steam following his birth reminded me that the unit is truly a family on so many levels. When Major Cooke and I came out of BCT back in the 153rd Training Platoon, the unit definitely looked much different. For instance, we had two platoons and our highest rank was Captain. While we have since expanded out to five separate multi-platoon companies and the roster is quite larger, the core of the unit is still very similar to how it was way back around in my early days. The unit strives to excel in every manner: from a clerk doing the AAR to a platoon preparing for a scrim, it's this drive that allows for the unit as a whole to successfully accomplish so much and be focused on the next task at hand. When we started out 2017, Battalion Headquarters sought to accomplish a handful of goals that would help to ensure the strength of the unit throughout the new year and beyond. These goals included implementing a revised OCS program to efficiently develop officers for all companies, boosting drill attendance across the battalion, revising and refining the offices including both their function and leadership structure to increase their efficiency, keeping our eyes open for expansion opportunities on the horizon, and of course, pursuing deployment opportunities. As a whole, Battalion Headquarters feels that the unit was successful in many of these goals, though we still see room for improvement on many fronts and look forward to working with leadership of all levels to exceed all expectations in the future." So that was 2017 for the 29th in a nutshell; we have seen promotions, commissions, announcements, events, and changes that will be regarded well into the future. As 2018 approaches, we can begin to anticipate even more of these as the months progress by: we will see the 1000th training platoon soon, as well as a fresh batch of NCOs and a plethora of new members ready to write their own story within the unit. What else we are to see is just for us all to inscribe. Excellent article, PFC. 2017 was definitely a big year for the unit. Looking forward to seeing what 2018 has in store for the unit! Great work PFC and all of Civil Affairs! Great work PFC! Great year that taught me loads of wisdom. 2017 was a great year for the 29th, best of luck into 2018 guys. Great Read and a very nice summary of the year, looking forward to 2018. Nice look back at the year in the unit, but i'm afraid i have to adress the elephant in the room, which was the Raffle. I was fortunate enough to win a game, but because of the unique way that Steam US and Steam EU apparantly don't like each other, i'm still finding myself without said game. PM me and I'll see what we can work out @"PFC Larsen"
Excellent read, PFC, and quite nice to get some input on what's happened in the other companies! 2018 is going to be even better!